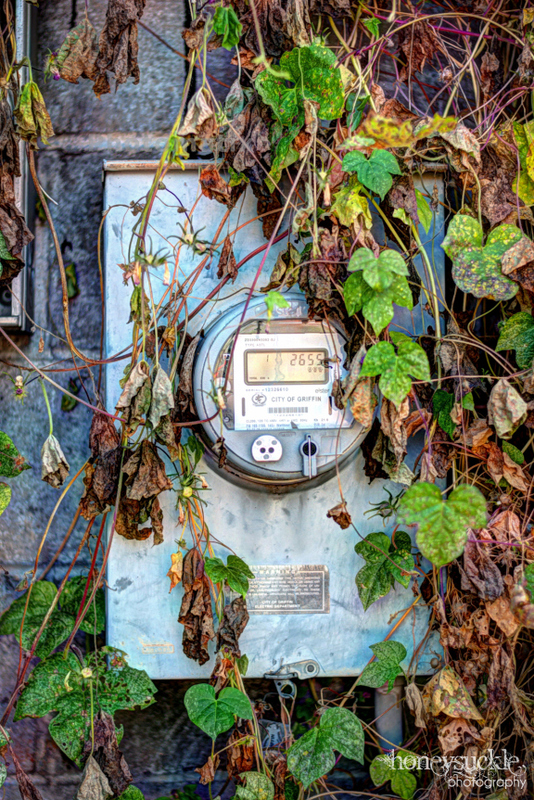 Ivy creeps around a utility meter on a cement wall. Sunlight is glancing off the meter’s display. Suddenly there’s a clicking noise and the sound of a shutter snapping. A member of the Southside Photographic Society (SPS) (namely, Catherine Jarret) has captured yet another photograph for the club’s collection. The club was created two years ago, when a previously-established photography club dissolved, according to Catherine Jarret, SPS’s current vice president. “The Southside Photographic Society is a group of local photographers, ranging in levels from just-got-their-first-camera to full pros. Our goal is, and always has been, to provide a friendly and welcoming environment to all photographers who are looking to network, learn, get feedback or just hang out with other photographers,” Jarrett said. Those interested in joining do not need to have a background in photography to become a member of the club – just an interest in photography and an ability to carry a camera. “All that’s needed to join the SPS is a willingness to learn and participate in a friendly consequence free environment,” club president Steve Knight stated in a recent interview with The Grip. The club generally holds monthly meetings starting at 6:45 p.m. on the third Tuesday of each month (the location varies), although Knight encourages those interested in joining or finding out more about events from the club to join the Southside Photographic Society’s Facebook page by searching out the club’s name on Facebook. Beginning in January 2014, the club will start collecting dues and a private, members-only page will replace the current page. The current group will become a place for admins to post news and events. In October of each year, SPS participates in Scott Kelby’s Annual World Wide Photo Walk (worldwidephotowalk.com). “We spend three to five hours traipsing around Griffin, shooting and getting to know our community a little more intimately,” said Jarret. For this year’s walk, the group obtained permission to enter Griffin’s former city hall building on the corner of Sixth and Solomon streets. At the club’s core is the education and benefits of photography, while helping to pave the way for future photographers and for the preservation of images and events that may not necessarily have been visually documented. “We’ve had a pretty wide range of topics covered over the last few years, but now we have our schedule pretty much laid out for at least the next six months or so. We had a sports photography presentation, color theory, lighting techniques, camera tips & tricks. Some of our upcoming events are juried shows, food/product photography, portrait photography and some photography business topics. You don’t need to know anything about photography to join the group… we’re open to the newest of newbies. We all feel that we all still have much to learn,’ Jarret said. A recent event for the Southside Photographic Society brought the discussion of the use of digital cameras versus film photography, a medium slowly falling out of use as digital equipment becomes more popular. Neal Carpenter, a wedding photographer from Macon who exclusively uses film, spoke to the club to introduce them to the benefits of shooting on film versus digital. “Being a digital girl myself, it was refreshing to reignite that spark that beginners have–somewhere along the way that often gets lost,” club member Blair Toombs stated. For Toombs, joining the club meant learning more about a camera and how to use it to discover the inner photographer within herself. “We really try to bridge the gap between photographers who are just starting out and photographers who have been in the game for decades. My personal reason for joining in the first place was to teach and share what I’ve learned over the past four years or so of shooting, but I find myself doing more learning than teaching. What I love about SPS is that there is no judgment whatsoever; there isn’t this air of superiority or inferiority. Everyone just shows up and shoots.” Toombs said.